Adjustable half check that opens like a traditional collar. 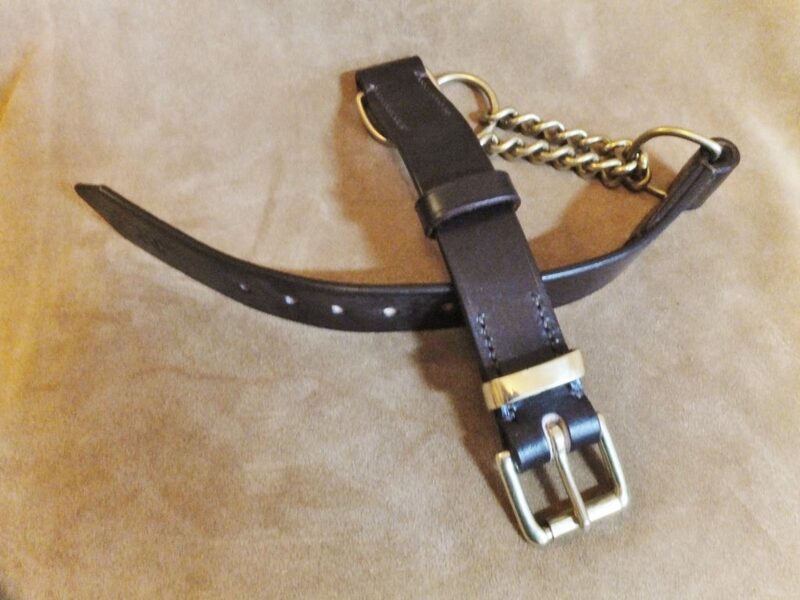 This Adjustable collar, open half check style is made so that it can be put on the same way as a traditional collar, this makes adjustment easy. 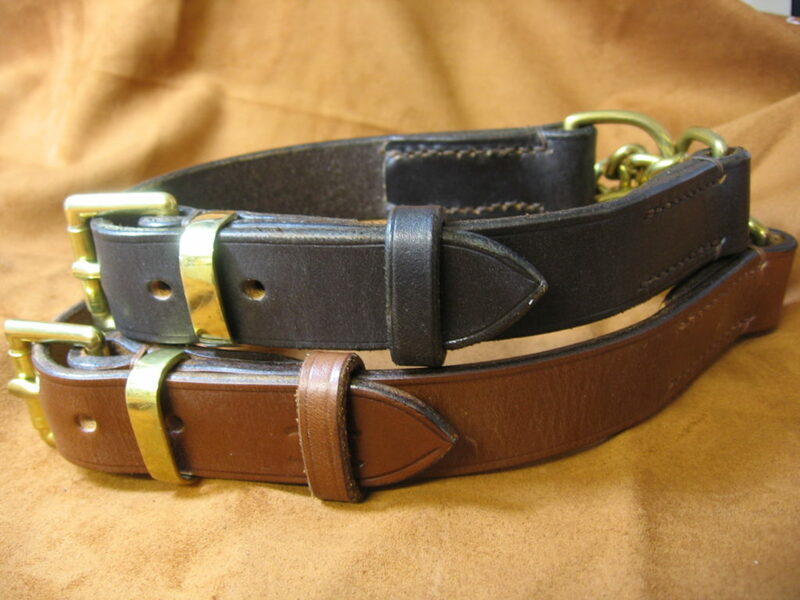 It is great for those dogs that do not like collars being put on over their ears. 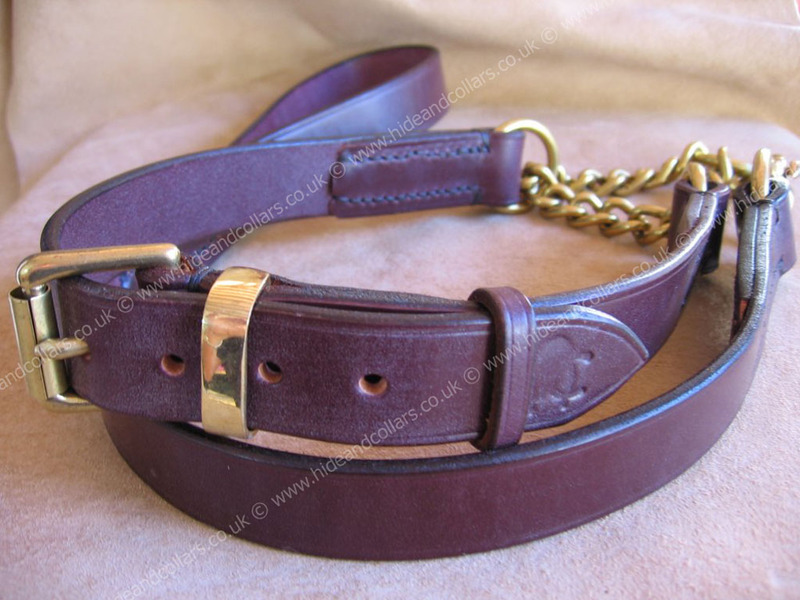 Made from the best English bridle Leather to give the strength and durability needed for every day use. Available with solid brass or chrome fittings. 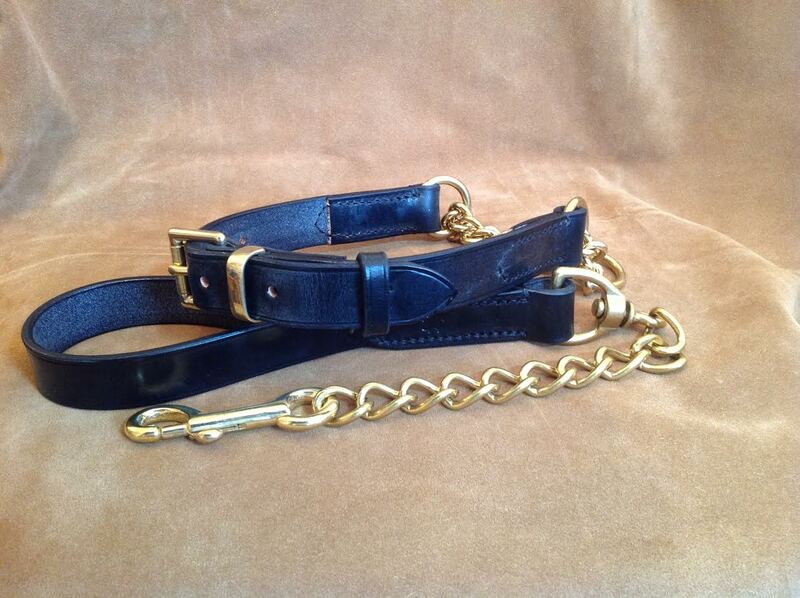 This 25mm collar has a heavy,chunky chain suitable for medium to large dogs but would be a little too heavy for small breeds. A matching lead can be found here.